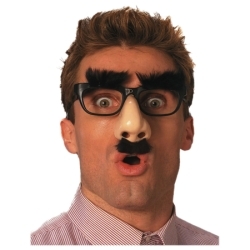 The classic "Groucho" glasses with big nose and furry eyebrows and moustache on black frames. The largest selling novelty of all time. Also called Beagle Puss.